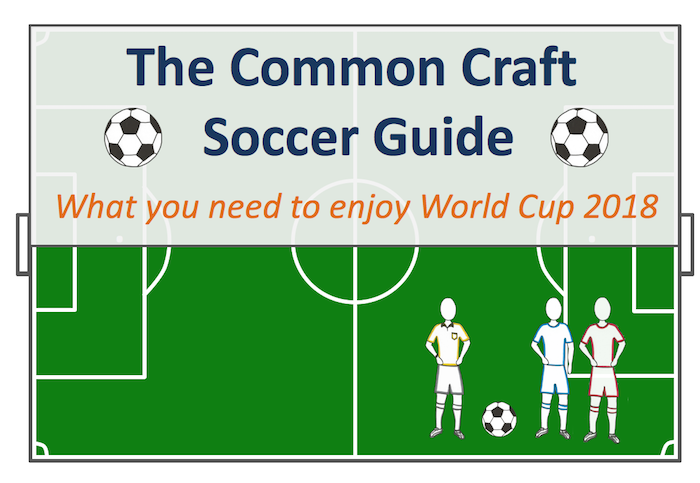 The World Cup of Soccer is here and this guide will help you understand the sport quickly. Soccer is a team sport played with two teams of 11 players and one ball. The field is about the size of an American football field. Teams are made of 10 players plus one goalkeeper. The object of the game is to put the ball in the other team’s goal. When a goal is scored, the team gets one point. 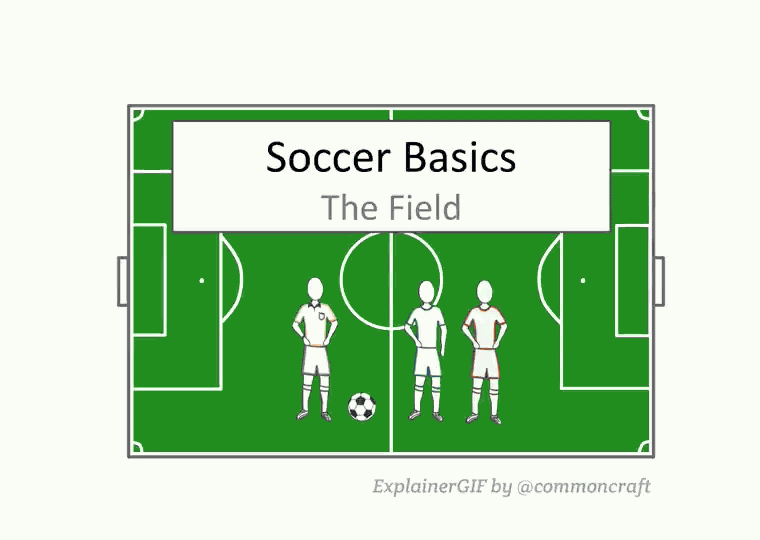 Soccer fields vary in size, but are always a rectangle and must be green. 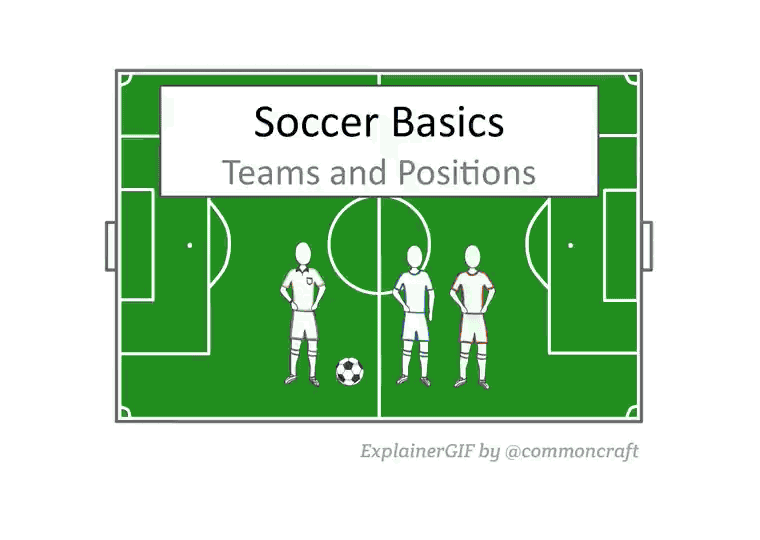 Soccer fields are rectangular and are made of grass or artificial turf. Minimum field dimensions are 70 yards by 110 yards. Both teams use the entire field. Soccer matches are 90 minutes long and made up of two 45 minute halves. The play clock in soccer operates differently than most other sports. It counts UP from 0 to 90 minutes. It never stops, except for halftime. The referee may add "stoppage time" at the end of each half. Soccer, compared to other sports, is a low scoring game. Many matches are decided by a single point. It is also common for matches to end in a tie score, called a "draw". A draw is a common and acceptable outcome in most matches. But in tournaments, a winner must be declared. This happens through soccer's version of overtime, called "extra time". Soccer matches are 90 minutes long, with two 45 minute halves. The play clock counts UP from 0 to 90 minutes. The play clock never stops, except for halftime. The referee may add a few minutes to each half for "stoppage time". 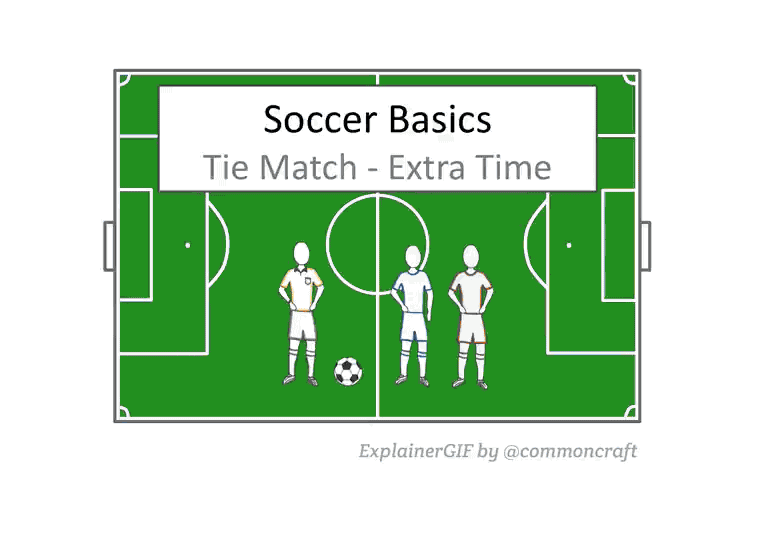 When a match ends in a tie, it may go into "extra time". 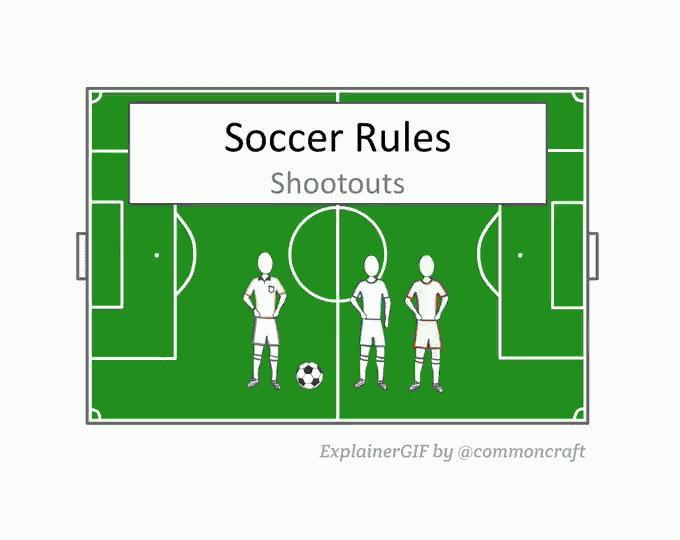 If a match is tied after extra time, it will go to a shootout. 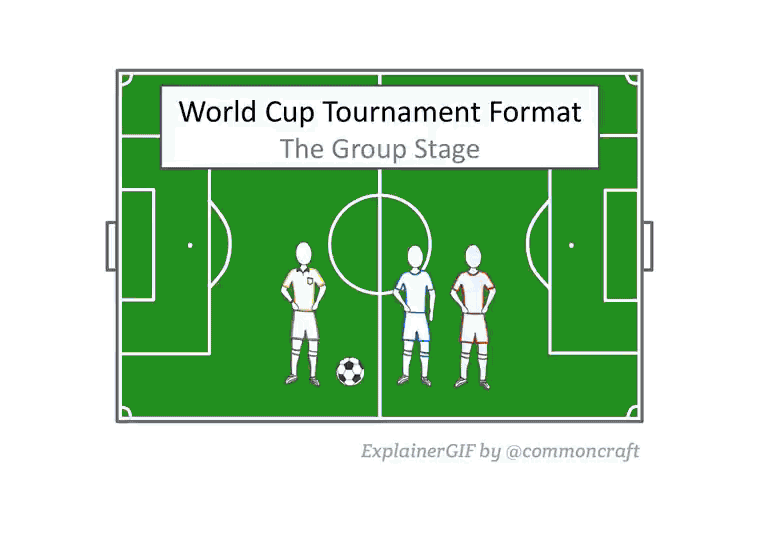 In the World Cup, a winner must be declared once the tournament is reduced to 16 teams. This means that no match can end in a tie score, or "draw". If the 90 minute match ends with a draw, the match goes to "extra time" or overtime. If the score is still tied, a shootout decides the winner. In soccer tournaments, matches cannot end with a tie score or "draw". A winner must be declared. If a normal match ends with a draw, two 15 minute halves are played. This is not a "sudden death" situation. If the match is still tied, a shootout is used to declare the winner. 5 players from each team are selected along with one goalkeeper. Each player shoots one penalty kick, alternating by team (5 rounds). If one team has more goals at the end of the kicks, that team wins. If the shootout score is tied after the first 5 rounds, it goes to sudden death. In sudden death, the first team to score while the other team misses is declared the winner. A single point is added to the winner's final match score. The experience of watching soccer can be perplexing (and frustrating). Play sometimes stops for no apparent reason. Even the biggest fans are sometimes confused about why a referee called a foul. It's part of the game. But with a little knowledge, you'll start to recognize fouls and you might even disagree - and that's OK.
Part of the allure of soccer is how it is officiated. Like many other sports, many calls are based on the referee's judgment and quick decision making. At heart, the game is based on 17 laws known at "The Laws of the Game". The Laws of the Game are governed by a global organization called FIFA (Fédération Internationale de Football Association) or in English (International Federation of Association Football). FIFA is at the center of global soccer and organizes the World Cup among many other events. FIFA manages the Laws and certifies the referees. Download a full version of the Laws here. Within each of the laws are "interpretations" that become very specific. In most high level matches like the World Cup, there are multiple referees - a referee, two assistant referees, a fourth official and a team of video assistant referees. VAR can only be used to make calls regarding goals, penalty decisions, red cards and cases of mistaken identity. Overall, the Referee manages the whole field and is the bottom line on all calls. 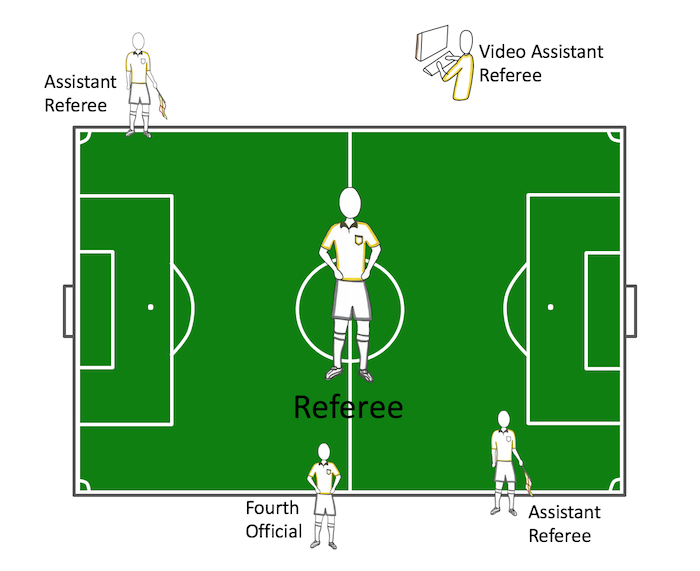 Assistant Referees manage the sidelines and raise flags when the ball goes out-of-bounds or a player is offside. The referee enforces and interprets the 17 Laws of the Game. The Laws and referees are governed by FIFA, the organization that organizes the World Cup. In high profile matches there are often 4 referees: a referee, two assitant referees and a fouth official. Each referee has a specific set of duties during the match. Soccer is a very dynamic sport. Players are constantly moving and the ball rarely stops. There are no time-outs or commercial breaks. But play does stop for short moments. 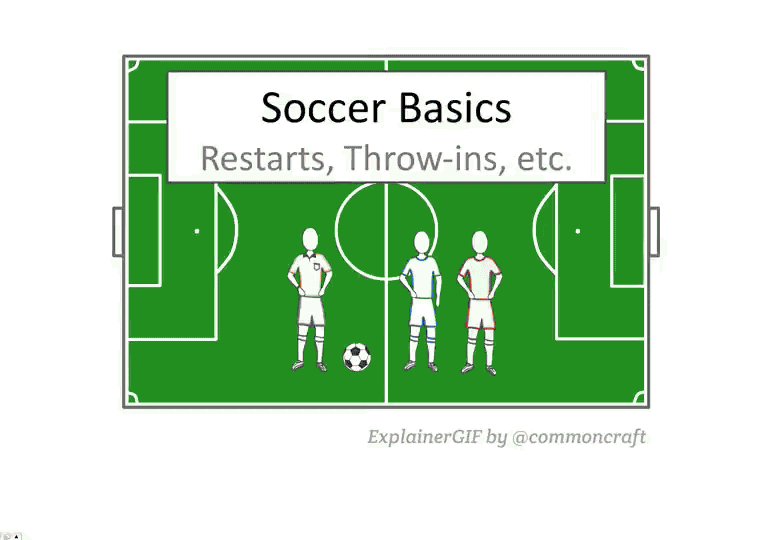 When the ball leaves the playing field and when a team scores, play must be restarted. The most basic rule of restarts is about possession. Whomever touches the ball before it goes out of bounds loses possession. A duty of the assistant referee is to indicate this possession. Once the call is made, the team restarts the match with a throw-in, corner kick or goal kick. Whenever the ball leaves the playing field, play must be restarted. If the ball crosses the sideline or "touchline", a throw-in is used to restart the match. If the ball crosses the goal line, it will result in a corner kick or goal kick. If the defense touches the ball before it crosses the goal line, possession goes to the offense and they kick a corner kick. If the offense touches the ball before it crosses the goal line, possession goes to the defense and they kick a goal kick. One of the most basic rules in soccer relates to the use of hands and arms. No players, except the goalkeeper, can use their hands while the ball is in play. If they do, it results in a free kick for the other team. Incidental contact with hands or arms is often acceptable. Important Note: A handball must be "deliberate" to be called by the referee. This means that incidental contact (the ball hit a players arm at his side) is usually okay. Often, if the player's hand or arm is in an "unnatural" position (high in the air) or attempts to deflect the ball, it's called a handball. As always, it's a judgment call for the referee. No player, except the goalkeeper, can touch the ball with hands or arms during play. This is called a "handball" and results in a free kick or penalty kick for the opposing team. Handballs must be deemed "deliberate" by the referee. Incidental contact is okay. The goalkeeper can only use hands or arms inside the penalty area. The job of a referee can be a difficult one. Referees make split-second decisions based on their judgment and intepretation of the laws of the game. They call fouls on the action they see live, and without any support from instant replay. Fouling usually involves player-on-player contact and can result in free kicks. What is a Foul (0:49)? When an offensive player is fouled inside the penalty area, it results in a penalty kick for the offense. Because penalty kicks often result in goals scored, these kinds of fouls can be game-changing events. Most fouls result in free kicks that simply change possession from one team to another. But there are "bad fouls" that can alter the match in fundamental ways. When a foul is violent and/or dangerous to another player, for instance, the referee may show a red card and eject the player from the match. This is a game changer because the ejected player's team will have to continue with one fewer player. The job of the referee is to protect players and ensure fair play. Calling fouls is one way the referee discourages unsafe and unfair play. Fouls usually involve player-on-player contact. When contact is reckless or unnecessary, a foul will be called. When two players go for the ball, the referee may consider if the player was going for the ball or the opposing player. If the tackling player touches the opposing player before the ball, a foul may be called. 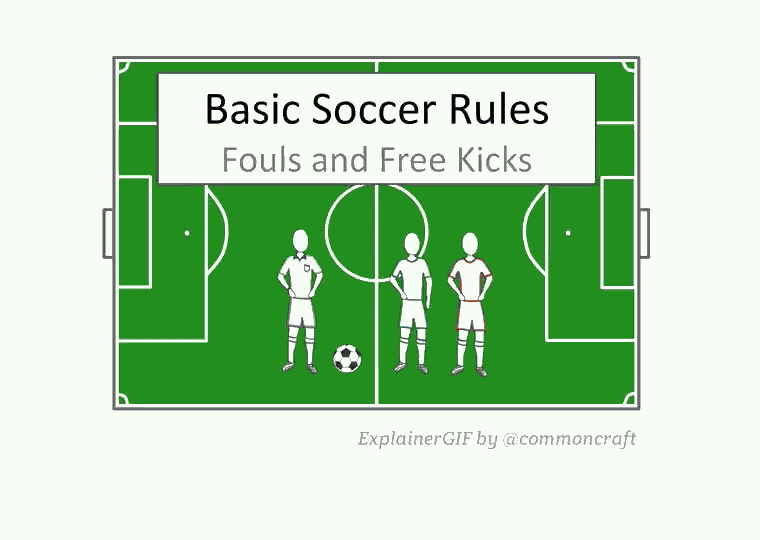 Fouls can result in free kicks and penalty kicks. Fouls are based on referee judgment. While fouls often involve contact, misconduct often relates to a single player’s actions. This could be disagreement with the referee, unsporting conduct, violence, intentional fouling and more. 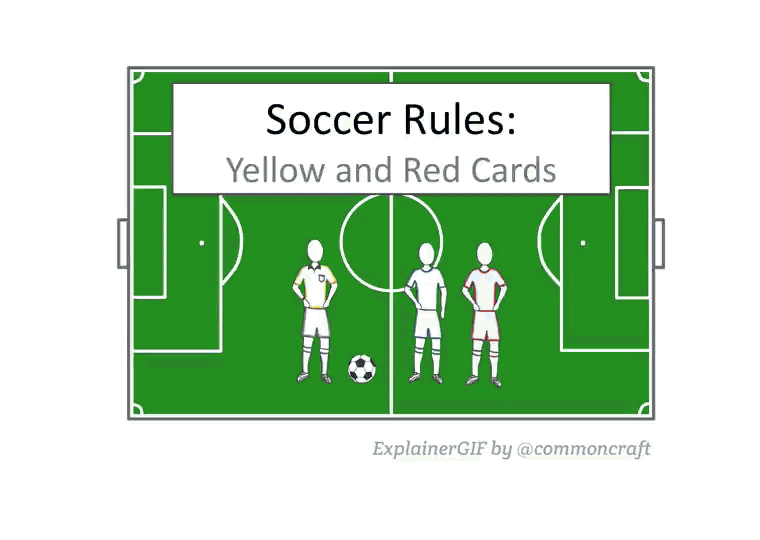 Whether it's normal fouling or misconduct, the referee uses a system of yellow and red cards to penalize players. When a player is shown a "straight red" (not an accumulation of yellow cards) for a bad foul, the player will be sent off and be suspended for at least the next match. When a player accumulates two yellow cards over a single match, they can finish the current match, but will miss the next one. Accumulating two yellow cards over multiple matches will also result in a red card and suspension. 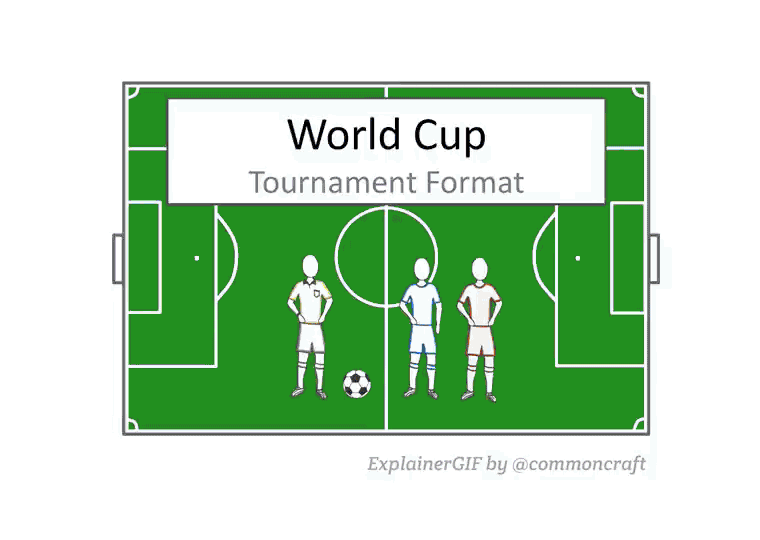 In the World Cup, the yellow cards accumulate through the first five matches and reset after the quarterfinal games. This ensures the final teams are at full strength. While fouls are player-on-player, the referee may also penalize players for misconduct. This may include unsporting conduct, persistent fouls, delaying the match and more. The referee uses a system of cards to penalize players for fouls and misconduct. A yellow card is a warning. A red card means that the player has been ejected from the match or "sent off". The player must leave the field immediately and the player's team must play with one fewer player for the rest of the match. Two yellow cards received in one match for a single player equals a red card and the player must leave the match. A "straight red" for an egregious action, for instance, will result in a suspension from the following match as well. If you have any feedback or comments, please contact us.